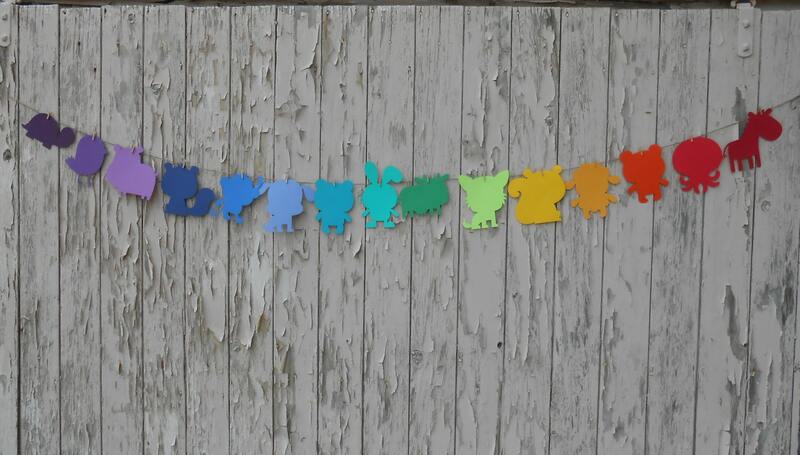 Rainbow Animal Garland 15 ft with 6 inch Animals. YOUR CHOICE Of Colors & Shapes. 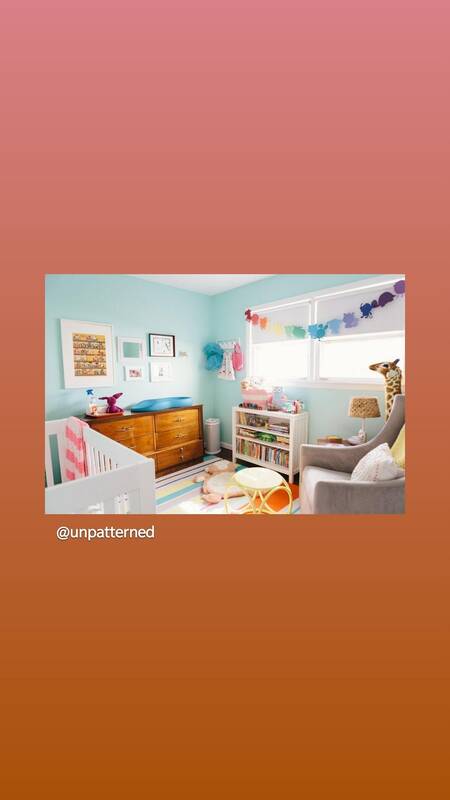 Baby Shower, Birthday, Party, Table. 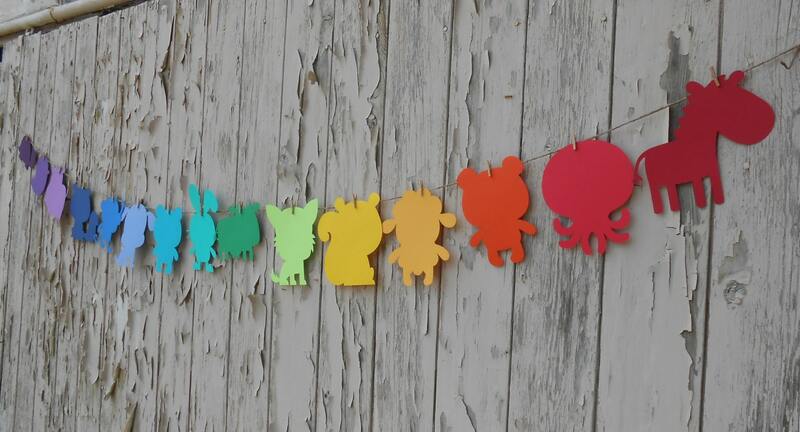 These cute animal shapes are cut in a rainbow of cardstock colors and attached to a 15 ft. jute cord with tiny clothes pins. 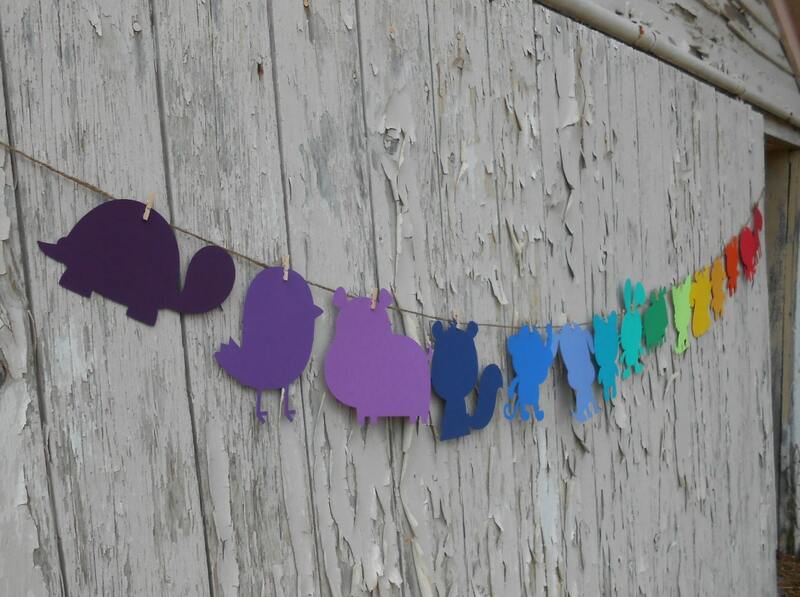 This garland could also be made from any color of cardstock you would like! You can also pick which animals you would like from the pictures above. This listing is for one 15 ft garland with fifteen 6 inch animals, each measuring 6 tall" (the width varies, depending on the animal). 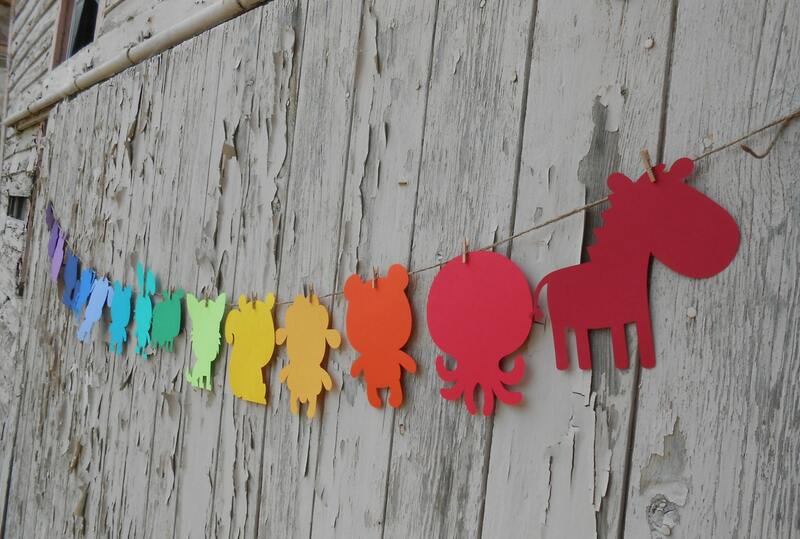 These are great to decorate at a birthday party, baby shower, or school party. 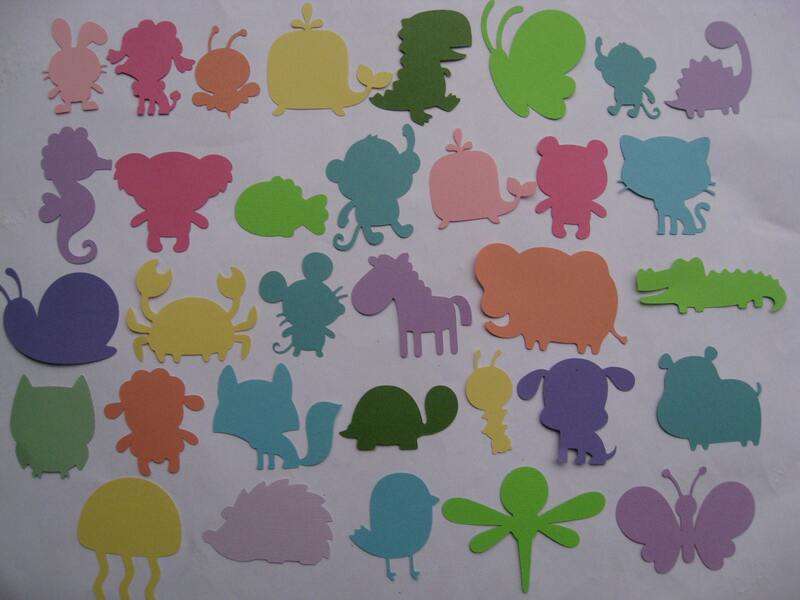 The garland will be made in a rainbow of colors with a random mix of animals unless you select specific animal shapes.